Sustainable Tourism (ST) is at the very heart of The Association of International Tour Operators’ (AITO) ethos, and the annual AITO ST Awards – presented at an AITO anniversary dinner on 23rd November, 2011 – are always big news in the travel industry. AITO’s ST guidelines state that travel and tourism should benefit host communities, respect local cultures, protect the environment and conserve natural resources, and member companies are rated by AITO accordingly. 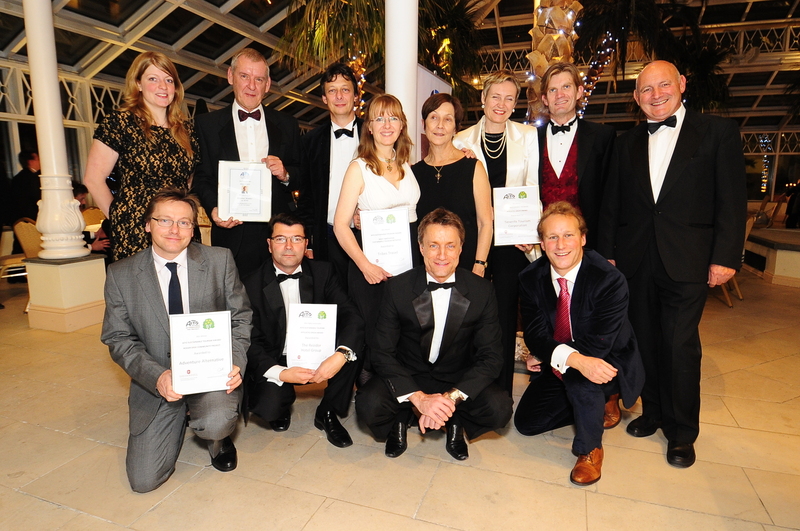 With 24 companies currently awarded the top rating of 5 stars, the ST Awards 2011 were hotly contested. The ‘AITO Affiliates Green Award 2011’ is for the AITO business partner or tourist office deemed by the judges to best demonstrate sustainable practice in a tourism or non-tourism area, and the winner was the Tenerife Tourism Corporation. Highly commended in this category was the Rezidor Hotel Group. For the Tenerife Tourism Corporation, achieving sustainability across the island is a group effort, involving various hotels, businesses and visitor attractions. Tenerife now boasts the world’s first-ever village of carbon-free homes and, with one of the world’s three largest Solar Photovoltaic Plants, the island hopes to soon be able to generate more than half of its energy through natural energy resources. The Government too has played a vital role by funding various initiatives focusing on, for example, recovery and protection of the seabed, and using wind power to run public transport. The Ocean Dreams Factory, meanwhile, has developed the unique Flyover diving project which allows visitors and residents to meet marine species and participate in conservation activities themselves. In 2001 the Rezidor Hotel Group (runner up) introduced a Responsible Business programme, which focuses on respecting social and ethical issues in the company and community, reducing negative impact on the environment. Nearly 50% of Rezidor hotels have already been awarded eco-labels, and the company hopes to reach its target of 100% by 2015. This year the company also supported the UN Refugee Agency by collecting monetary donations from employees and guests at all 315 operational hotels, to raise funds for Libyan refugees. Rezidor even has a designated Responsible Business Action Month which, this year, managed to raise €85,000 for charity. The winner of the ‘Most Innovative Sustainable Tourism Initiative 2011’ was Tribes Travel, and the joint highly-commended runners up were Wilderness Scotland and Explore. Tribes Travel (winner) has introduced a system of environmental and social impact auditing of the properties with which it works around the world. So far, over 300 properties have been assessed across 17 countries, establishing their relative eco strengths and weaknesses, before publishing their grading on the company’s website. This process helps to raise environmental awareness among property owners, who are able to make positive changes as a result. Tribes also has a business plan to push sales for the higher-graded properties as an added incentive for those with a lower grading. The audit form has been so successful that the company has shared it with the Ethical Tour Operators’ Group so that other operators can replicate it. Wilderness Scotland (joint runner up) has put together a Wilderness Guide Training Programme (WGTP) which provides adventure travel guides with unique training focusing on client education, awareness and understanding. The course teaches guides how to inspire clients about nature conservation and sustainability, with added modules on the Leave No Trace campaign, wilderness cookery and astronomy. The programme currently has over 1,500 clients per year, and is delivered in partnership with local businesses and accommodation services who participate in the Green Tourism Business Scheme. Explore (joint runner up) has recently introduced ‘Responsible Travel’ cards on all tours in India, with the intention of rolling them out elsewhere if the scheme proves successful. These cards outline topics including how litter and recycling should be dealt with whilst on the trip, tips on what to wear, and advice on how to respect local sensitivities and cultural differences. The cards also mention any local projects supported by Explore, with advice on how customers can give something back to the community should they wish to. Explore is dedicated to fundraising for various projects around the world, and is heavily involved in the running of a number of Sustainable Tourism courses. The final award was the ‘Roger Diski Community Project 2011’, and was won by Adventure Alternative. Highly commended was Wild Frontiers Adventure Travel. Adventure Alternative (winner) impressed the judges with its long-term development plans for two rural village communities in the Nepal Himalaya. One of its main achievements has been to improve the quality of inhabitants’ lives and to stem the migration of younger generations to the more urban lowlands, thereby rejuvenating this unique community. Locals have been involved with projects including the design and build of a hydro-electric plant, the building of new classrooms and improved facilities at local schools, and the creation of an annual medical camp where western medical students and Nepali doctors provide free consultations and medication. The company also funds eight teachers’ salaries in local schools and sponsors 12 local children to go on to higher education in Kathmandu. As winner of the award, Adventure Alternative will receive a £1,000 bursary which will be put towards a project to establish a tea production co-operative in Bumburi. Wild Frontiers Adventure Travel (runner up), set up the Tourism in Ethiopia for Sustainable Future Alternatives (TESFA) initiative in 2003. Its aim was to set up a network of community-run tourism enterprises which would allow visitors to trek through the Ethiopia’s remarkable landscape while putting money into local communities at the same time. Treks have been incorporated into Wild Frontiers’ group tour itineraries and the project has increased employment in the region by offering guiding, cooking and home-stay opportunities to local families. To ensure that AITO’s ST programme is kept fully up to date, a dedicated ST committee of members and advisors reviews progress and ensures that AITO is at the forefront of environmental thinking. To find out more about the 140 AITO specialist tour operators and their ST initiatives, visit www.aito.com. This entry was posted in Articles and tagged Aito, etthical tourism, responsible tourism awards, responsible tourism. green tourism, sustainable tourism. Bookmark the permalink.